(VEN) - The Law on Deposit Insurance defines deposit insurance as ensuring refunds to the insured depositors within insurance limits when the insured institutions become insolvent or go bankrupt. The Deposit Insurance of Vietnam (DIV) was established in 1999 to protect depositor interests and contribute to maintaining the stability of credit institutions and ensuring safe and healthy development of the banking system. The DIV is a non-profit state-owned financial institution operating in the form of a one-member company limited with the state holding 100 percent of its chartered capital. 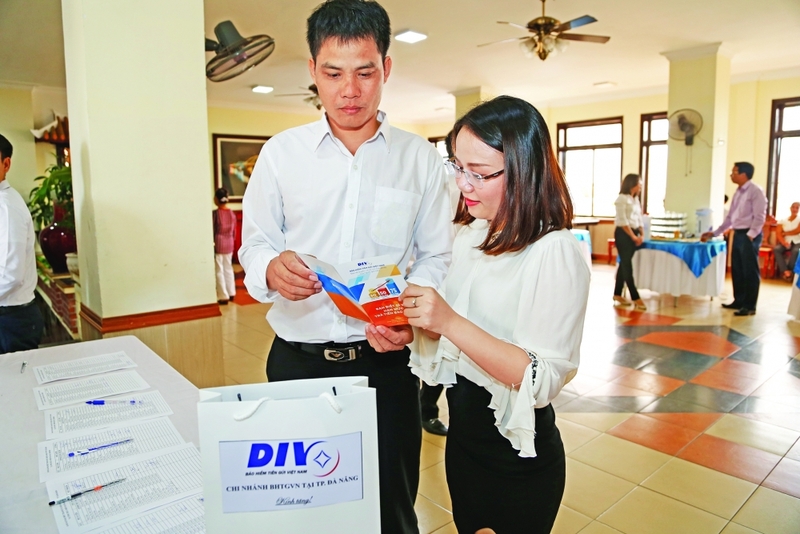 Currently, the DIV is providing insurance for more than VND4,000 trillion of personal deposits at nearly 1,300 insured institutions nationwide, including commercial banks, foreign bank branches, cooperative banks, people’s credit funds and microfinance institutions. Depositors do not have to pay insurance fees. The insured institutions pay these fees to the DIV according to the law. Over the past 19 years, the DIV has directly or indirectly protected the interests of depositors through technical activities, such as issuing and revoking deposit insurance certificates, remote supervision, on-site inspection and special controls. It has maintained supervision to see how the insured institutions implement laws and regulations, and asked the State Bank of Vietnam to deal on a timely basis with their mistakes. The DIV has participated actively in special controls over the insured institutions as regulated by the State Bank of Vietnam, as well as in the management and liquidation of their assets according to the government’s regulations. The DIV paid insurance to depositors when the insured institutions became insolvent or went bankrupt. Every year, it organized a number of events nationwide to disseminate policies and regulations pertaining to deposit insurance in an effort to improve public awareness and strengthen depositor trust in credit institutions. These events received positive feedbacks from depositors and people’s credit fund officials. The recently amended and supplemented Law on Credit Institutions enables the DIV’s deeper involvement in the restructuring of credit institutions through various activities, such as providing special loans, buying long-term bonds issued by credit institutions, assessing the feasibility of recovery plans of credit institutions subject to special controls, making bankruptcy plans for credit institutions subject to special controls and submit these plans to the State Bank of Vietnam for consideration. The DIV has strengthened its position as an efficient assistant to the government and the State Bank of Vietnam in efforts to protect depositor interests and promote the effective restructuring of credit institutions.